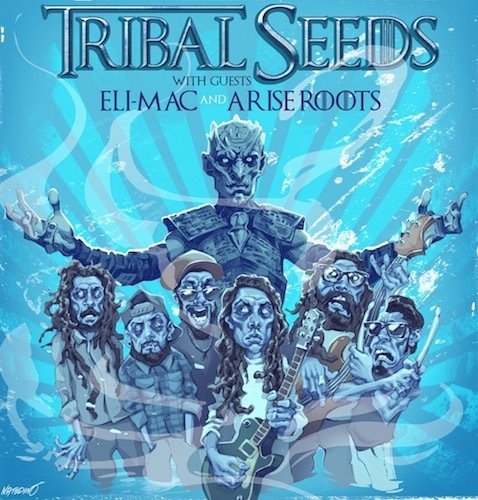 In honor of the last season of Game of Thrones, Tribal Seeds have one hell of a tour poster for their upcoming tour with Eli-Mac and Arise Roots. The next few months heading in to summer is going to be busy with this tour and a few festivals to go along with it. In a few weeks, April 19th, Tribal Seeds will be out on the "Days On The Green Festival" in Phoenix, AZ. 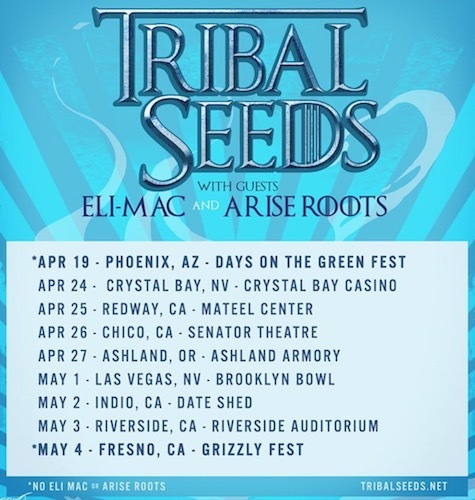 Then the band will go on a small stetch of dates with Eli-Mac and Arise Roots before the "Grizzly Fest" on May 4th. For those who are late to their summer tour news, you can get hype for Tribal Seeds to head out on the "How I Spent My Summer Vacation Tour" with Slightly Stoopid, Matisyahu and Hirie. Along with those tour dates a full list can be found by clicking here as well as what is listed below. Now that we got that out of the way be sure to check out Tribal Seeds on Stick Figures recently released "World On Fire" remix track with Slightly Stoopid, The Green, Common Kings and The Movement. Hear the track below.